With the increasing desire for a sustainable environment and business, our clients are looking to us to help them integrate renewable energy solutions into their energy procurement strategy. Our unbiased supplier platform allows our clients to meet their sustainability objectives while simultaneously delivering on price - and the bid results for this client illustrates this well. A laboratory in the state of New York was looking to procure a percentage of its energy consumption from renewable energy. As a strong supporter of the state’s renewable energy effort through an on-site solar array, Usource worked with the client to determine how renewable energy credits could allow them to achieve overall renewable objectives. Renewable energy credits convey the environmental attributes of electricity generated by renewable facilities to the purchaser. Certain wind, solar, geothermal, low-impact hydro, and biomass facilities qualify as renewable energy. 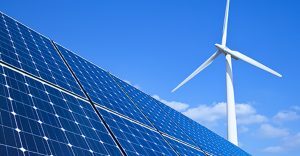 As part of an energy procurement bid request to suppliers, Usource advisors can require that a designated portion of the supply come from renewables. One option would have been to solicit the RECs as an embedded cost in the energy supply offers from suppliers. However, with the breadth and depth of Usource’s supplier network, our advisors were able to obtain several renewable energy credit bids from suppliers, separate from the basic commodity – giving the client a competitive edge on pricing. As a result of the competitive bid process, several suppliers submitted prices which yielded a $0.73 per REC price spread. With 173,300 renewable energy credits to purchase, the client saved $125,779 over the three-year contract period. By leveraging Usource’s strong supplier network and unbiased, transparent bidding platform, the client was able to save money while also achieving its renewable energy goals.